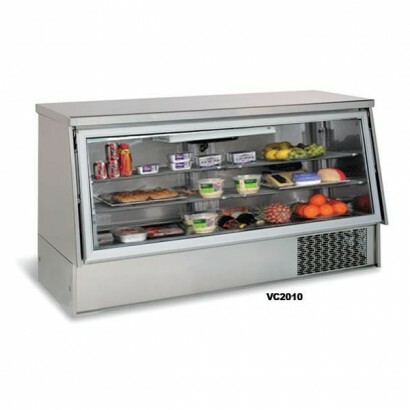 Vision counters and 3/4 vision counters are ideal for newsagents and takeaways as they combine a chilled display cabinet with a large heavy duty counter top great for tills, scales or additional displays. Other great features include rear hinged access door for easy product access, cleaning and re-stocking, a generous 600mm deep counter top, hinged front glass for easy cleaning and digital temperature display. All of which are provided by our range of the best vision counters from the top brands including Infrico and Comersa. Can't find the product you want? Call us today on 0161 442 9174 and one of the team will be happy to help. The Comersa Hera 3/4 Vision Counter has 3 sizes available, including hinged access doors to rear, in.. 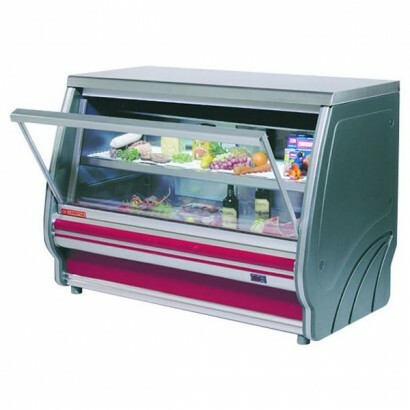 The Infrico ¾ vision counter is a robust serve over unit ideal for newsagents and takeaways. With a .. 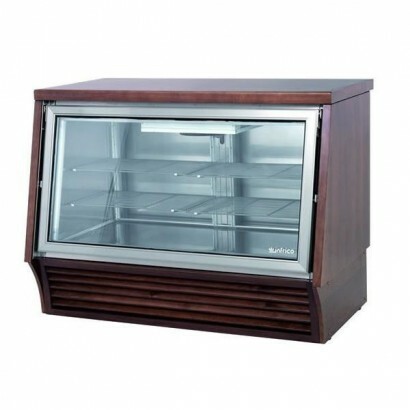 The wood finish ¾ vision counter from Infrico is ideal for those looking for a chilled serve over co..